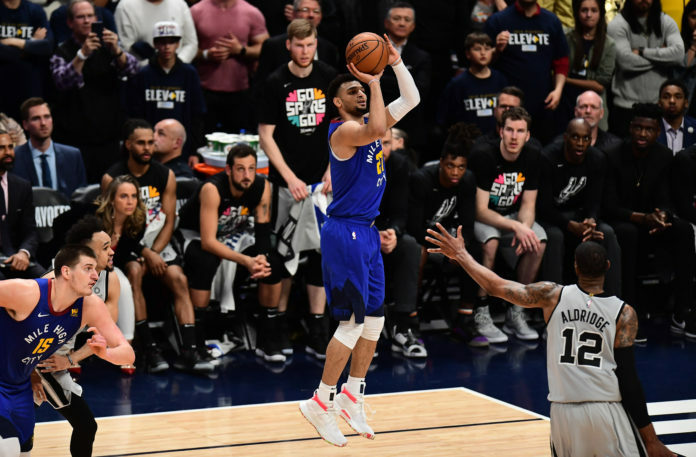 As the clock ticked past midnight and the day flipped from Saturday to Sunday, Jamal Murray was still no where to be found after missing a potential game winning jump shot in his first career playoff game. It was not until about an hour after the locker room opened to the media that Murray emerged from the Nuggets practice court drenched in sweat and the look of annoyance on his face. After the Denver Nuggets sustained their game-one loss to the San Antonio Spurs, no one was harder on themselves than Murray, who left the Pepsi Center floor once the final buzzer sounded and went directly up to the Nuggets practice court with his father — and toughest critic — Roger Murray. Jamal and his father — who was Murray’s first-ever coach and his closest confidant — went to work with the intention of debugging Murray’s jumper. One by one, Murray went back to the spot of each of his 16 missed field goals and began to shoot. 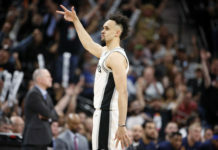 Murray’s individual shooting frustrations identically mirrored Denver’s biggest issue in their game-one loss to the Spurs. Murray was not the only member of the Nuggets who missed an exorbitant amount of open looks. The inability to make shots was an affliction that plagued almost the entire Nuggets roster. Somehow, as a team, the Nuggets managed to miss 21 of their 26 “open” 3-pointers which is defined by the closest defender being four-or-more feet away. Outside of missing open shots, the Nuggets played well. They were creating open looks all night, held DeMar DeRozan and LaMarcus Aldridge to just 33 combined points on 12-36 shooting from the field, and played with great effort all night. That is why — despite those atrocious shooting statistics — the Nuggets had multiple opportunities to take a lead late in the game. 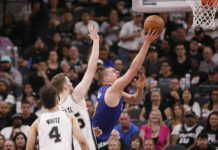 While there are no moral victories in the playoffs, the Nuggets can take solace in the fact that they played the right way and that they were victims of some degree of randomness. Not only did Denver miss almost every open shot the took, but the Spurs also hit an absurd amount of tough and inefficient buckets as well. If either of those issues regress to the mean, the Nuggets should be in a position to bounce back in a big way on Tuesday night in game two. Now, the Nuggets are turning their attention to game two and leaving game one where it belongs — in the past. That does not mean that they aren’t learning from their mistakes. The Nuggets need to find a fallback option when their shots stop falling. Thankfully, Malone already has a couple of ideas of what Denver can do to get back on track. No one in the Nuggets locker room is panicking right now. Yes, Denver has now lost homecourt advantage. Yes, the Nuggets are now going to have to win a game in San Antonio where they have lost 13-straight games. Yes, their offense has been in a slump for the past month. Despite all of those facts, Denver was still just one shot away from winning their first playoff game since the 2012-13 season. 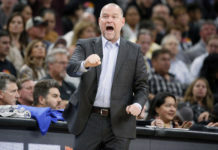 There is still an unshakable confidence that the Nuggets possess even if it is hidden behind the shroud of frustration. They have the talent, the offensive system, and the defensive match-ups to still find a way to win the series. All they have to do now is come out in game two and remind the rest of the league why they were able to win 54 games and why they need to be taken seriously.